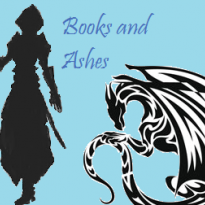 What I liked: I loved the concept of this book, it was really interesting and a fun read for me. Paige is a wonderful character who I really enjoyed following throughout the book, and I enjoyed the glimmers she goes through, they were all really interesting to read about. There were plenty of heart-felt moments about the characters inside the glimmers we face, and I was surprised by the affect that the glimmers had upon Paige by the end of the book. I also really enjoyed the characters the glimmers center around, especially Emma, who was perhaps my favorite of the characters in this book. Plus reading about that age in England is something that always seems to catch my fancy with certain books! What I didn’t like: I wanted more detail about the different girls lives that Paige experienced, especially in the first glimmer because that could have helped create a better emotional connection to Delilah. So, it ended up feeling a little bit rushed to me. 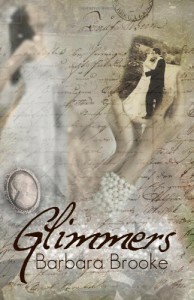 Overall Review: Glimmers is a beautiful story with some romance and paranormalish elements intertwined to create a wonderful story about a girl who comes more into herself after each glimmer and the way the book ties up at the end was both pleasant and something I really liked reading. I’m definitely going to think about getting this authors future books if given the chance! Recommend? : Yes! It’s a fun read that I really enjoyed!